Maybe it is because my husband is a boat guy - he had an interest in 7 boats when I met him! Maybe it is because I love the ocean. 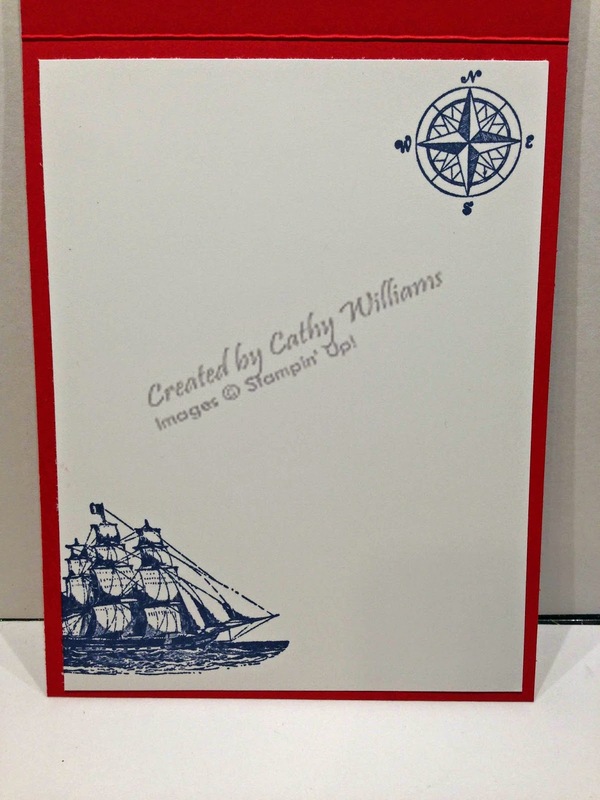 Whatever it is, any stamp set having to do with the ocean or boating becomes a favorite. If you have been following my blog for any time, you will already know that this set is one I use alot! 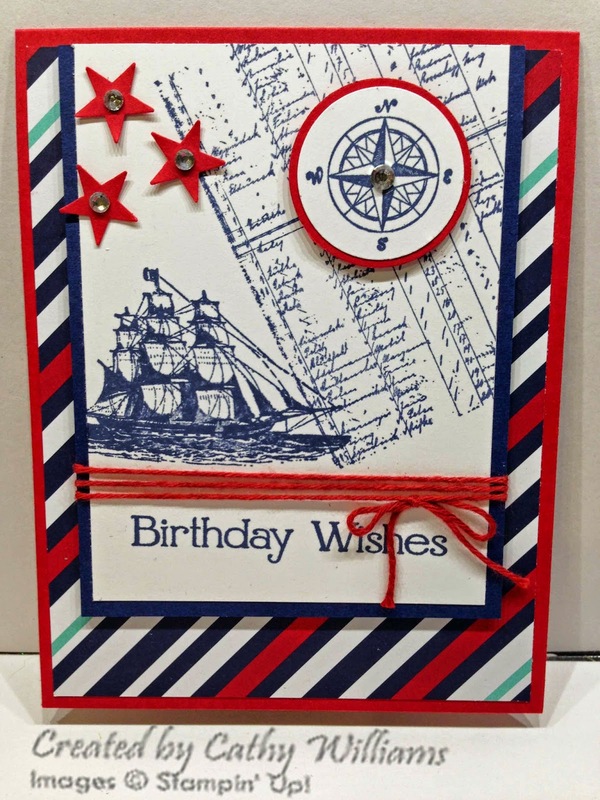 This card was CASE'd by Gails on Splitcoaststampers. I didn't have the little star punch she used so I punched out the stars using the Itty Bitty Accents Punch Pack. I like the way they pop! The red twine was made by dying it using rubbing alcohol and the Real Red Refill ink. Using alcohol instead of water allows you to work with it faster since the drying time is so much shorter. I just wrap it up in a paper towel and give it a good squeeze. Within a few minutes, it is ready to work with. If you want to work with it even faster, just use your heat gun to dry it.